Super VPN was launched in 2010 by a company having rich experience in delivering web hosting and security solutions. Through its VPN service, the company aims to deliver extremely fast and secure anonymity service to its customers. In the Super VPN Review below, we check the most important features of the service and judge whether it worth the price. As of now, Super VPN has servers in 33 countries – United States, United Kingdom, China, Austria, Japan, Sweden, New Zealand, Denmark, Italy, Israel, Canada, Philippines, Germany, Australia, South Africa, South Korea, Iceland, Hong Kong, Singapore, Spain, Belgium, Turkey, France, Russia, Chile, Czech Republic, Poland, Norway, Indonesia, Netherlands, Thailand, Switzerland and Ireland. The nice collection of server locations is bound to help those who are looking for a secure way to unlock location restricted services like ABC, Spotify, Zattoo, NBC, CTV, HBO On Demand, Amazon Prime, Netflix, NFL, Rara, BBC iPlayer, iTV, MTV, ESPN, 4OD and Demand 5 from another country. The service is also ideal for unlocking sites like Facebook, Twitter, Gmail, Skype and YouTube from heavily censored countries like China, Saudi Arabia, Qatar, Brazil, Thailand and UAE or from behind corporate firewalls. The company also offers combination VPN plans that allow you to switch servers at will and unlock local services from more than one country. Super VPN has excellent infrastructure that can handle up to 100 GBPS of data. The company does not throttle speed so you can stream HD movies, download huge files, play online games and make unlimited VOIP calls without worrying about hitting your monthly limits. 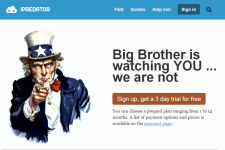 The company even offers an exclusive P2P plan for its subscribers which should please torrent lovers. Super VPN delivers military grade security (up to 1024 bit encryption with SSL protocol) to secure the data of its customers. The high level of security available makes it possible to secure data such as credit card information, bank account details, passwords and social accounts from the prying eyes of hackers and snoopers. The service also offers excellent protection for wireless networks since most Wi-Fi spots are considered as breeding grounds for criminals due to low security methods implemented by Wi-Fi providers. The company does not monitor users’ online activities but they do record login time and bandwidth usage details for server maintenance. Even though these logs are kept for a period of 5 days, the company does not hand them over to third parties or advertisers. Super VPN is available for Windows (7/8/Vista/XP), Blackberry, Android, iOS (iPad and iPhone) as well as Mac and Linux desktops. Since the company offers detailed setup instructions for each device and operating system, it is easy to configure the service on any kind of device within minutes. However the company needs to organize the structure of its website since there are too many redundant links present on the home page. The company offers customer support through live chat (business hours only) and email. The company has also published detailed troubleshooting instructions on its website which should help those who face recurring technical problems. 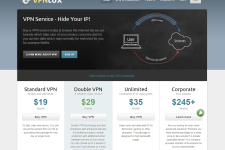 Super VPN offers several types of VPN plans to cater to the needs of its customers. 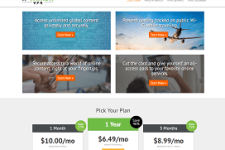 The single country PPTP plan starts from $8 a month, the multi-country SSL plan starts from $10 a month, the Blackberry and torrent plan start from $20 a month whereas the Offshore server plan (servers in Asia and Oceania) starts from $30 a month. The company has a 7 day refund policy but it is much better to ask for refunds within 1-2 days since many customers have complained about not receiving refunds on time. The company offers free trials for those who are willing to write a positive review of the service on their website. Overall, Super VPN has all the features that would attract the attention of VPN users. While the service has some support issues, it does offer blazing fast speeds and bulletproof security to its customers. 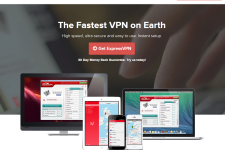 So if you are looking for a secure and fast VPN service, check the plans from Super VPN. For more information, please visit: www.supervpn.net.